Lake living at it's best. Gated community with Clubhouse, Pool, Tennis and Game Courts, 1100 ft of sand beach on East Okoboji with your own slips for boat and personal watercraft. 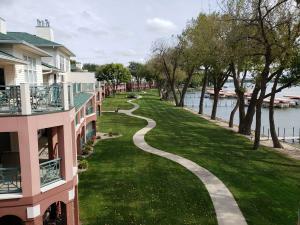 Excellent access to West Okoboji, and all of the attractions the Okoboji Lakes area has to offer.This condominium is being offered as Turn Key and is MOVE-IN READY. One of only 12 units in Chalstrom Beach, this spacious, loft unit offers incredible lake views from every room.The open loft area offers additional sleeping capacity and is currently set up as a 3rd bedroom. This property at 1605 Chalstrom Beach Road Dogwood #303 (MLS # 18-1914) is categorized as Residential Homes for Sale situated in Okoboji, IA. 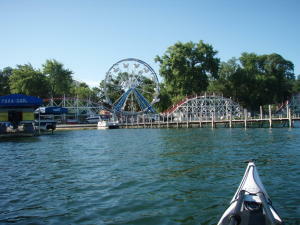 This Residential property is listed on SellBoji.com with a price of $405,000. This 2 bedroom property in Okoboji at 1605 Chalstrom Beach Road Dogwood #303 has 1691 sqft with 2 bathrooms and was built on 1993. Whether you are searching for new listings in Okoboji or just searching for 1605 Chalstrom Beach Road Dogwood #303 specifically, you will find all of the market statistics and community information you need. To learn about the difference between 1605 Chalstrom Beach Road Dogwood #303 and other properties around East Lake Okoboji, just call RE/MAX Lakes Realty, home of the Iowa Great Lakes premier website, SellBoji.com. Our real estate team will be happy to help you with your real estate home search in and around Okoboji, IA.